To grow the midstream sector of the country’s petroleum industry, Nigeria will need about four of Dangotes concept to grow the petroleum sector, Technical Consultant to President/CE, Refinery and Petrochemicals Projects, Dangote Oil Refinery Limited (DORC), Babajide Soyode, has said. Soyode stated this yesterday at the Engineer Trainee presentation of 22 Dangote employees who just returned from a specialised training on petroleum refining and petrochemicals from the Bharat Petroleum Corporation, Mumbai, India, held at the refinery’s complex, Lekki Free Trade Zone, Ibeju, Lagos. Soyode said having worked with Alhaji Aliko Dangote over a period of time, he was more than convinced that the business mogul remained committed to the industrialisation of the country. He assured that upon completion of the refinery, the country would be better for it as Nigeria would be more sufficient in the refining of petroleum products. He advised other entrepreneurs to join hands with the likes of Dangote to unlock the potential in the midstream sector to create employment opportunities for young graduates. Also speaking, Director, Human Capital Management and Project Support, DORC, Mr. Mohan Kumar, said as part of plans to be a leading company in petroleum refining and petrochemicals, DORC has trained 150 employees in the art of petroleum refining and petrochemicals. Kumar explained that the 22 engineers who recently arrived from Bharat Petroleum Corporation, Mumbai, India, are part of the 150 employees trained in various areas of petroleum and petrochemical refining. 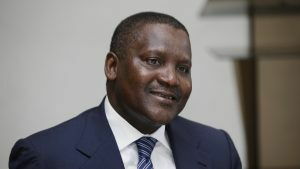 He said the decision of the management of Dangote to send the young graduates on a five-month course to India was to equip the refinery with young Nigerians with the requisite skill to man all areas of refinery operations. The human capital expert said the training would be a continuous one as another batch of 600 graduate employees would be sent to various trainings between March and April to get them acquainted with latest trends in the field of refining, mechanical, electrical and fertiliser production.